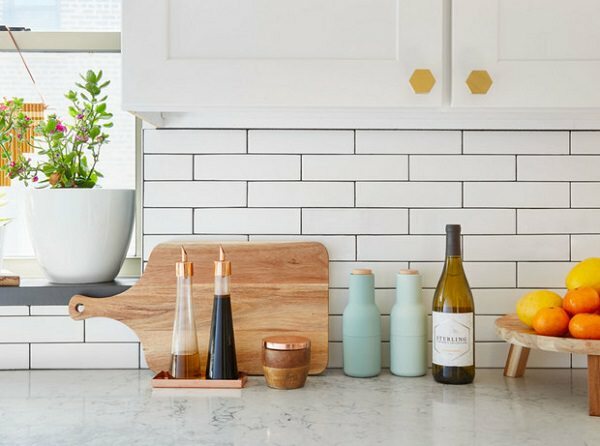 Choosing a backsplash might just be the most important kitchen design decision you make. Here’s how to get it right. 1. Select a playful color and shape. Let’s analyze why this backsplash got it right. Since it’s my kitchen, I can speak to this first hand. I knew I wanted white cabinets to brighten up the space, but I didn’t want the room to be boring. Instead, I made the backsplash the star of the show. 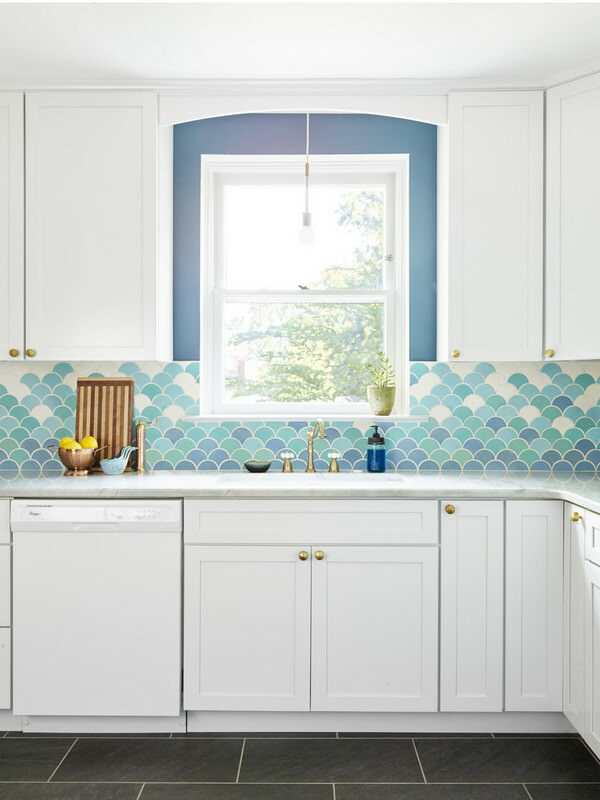 I chose a fun fish scale tile shape and incorporated ocean-inspired colors. This was my way of twisting the navy kitchen trend into something a bit less expected. 2. Choose a contrasting grout color. This kitchen ticks multiple trend boxes: It features a great farmhouse sink and brushed brass hardware. But it’s the backsplash that takes things to the next level. 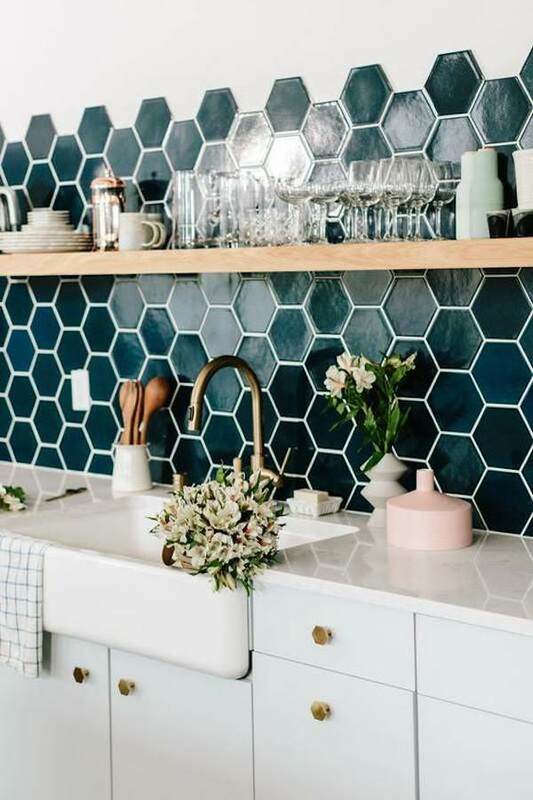 The deep green hexagon tiles are a standout, and the bright white grout makes each hexagon tile pop. Visit Domino to read the full post.